The building is carefully placed next to the police barracks, tucked away between Route 2 and the Interstate. The Red Hen Bakery is less than a half mile down the road. A high chain link fence with barbed wire strung across the top encloses the courtyard. 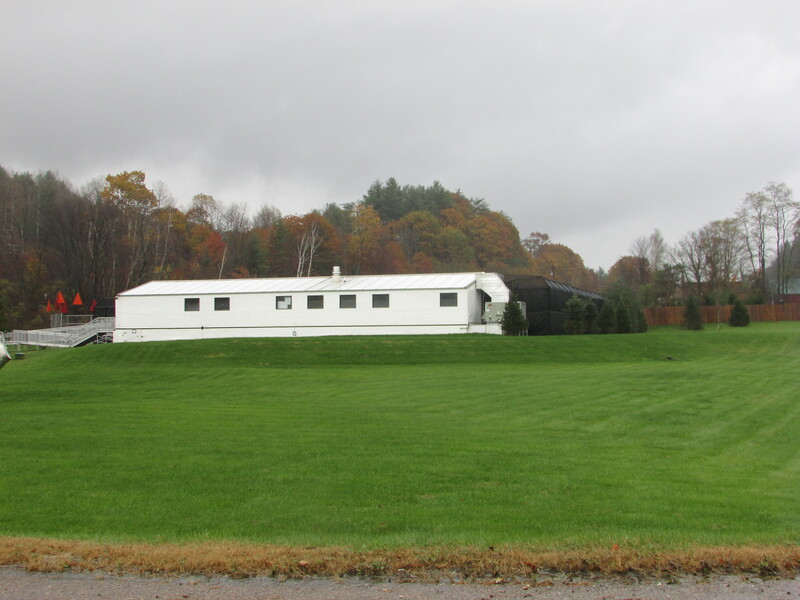 This is the Middlesex Therapeutic Community Residence, a mental health facility run by the State of Vermont with seven beds, holding mostly schizophrenic patients. The facility was built in the aftermath of Hurricane Irene in 2012, when the Vermont State Hospital was flooded. Christine Oliver was Commissioner of the Department of Mental Health during Irene. She was home when she received the phone calls from staff at the Vermont State Hospital in Waterbury. As a result the 50 patients were dispersed among various facilities around Vermont, “We first started out with a white board in the conference room with every person’s name and kind of what they needed,” she said. Some patients went to the UVM Medical center, some to the Brattleboro Retreat and some to the Springfield Correctional Facility. Nick Nichols, Policy Director for the Department of Mental Health, was involved in the tough decision making. The Middlesex Therapeutic Residence was built for these patients. “This temporary facility allowed people to be in a residential setting, get a lot of support and be secure,” Nichols said. Although the facility was scheduled to close on January 1st, 2018, the Vermont Agency of Human Services and the Department of Mental Health have sent a letter to the town asking for the deadline to be pushed to January 1st, 2020. The Middlesex Facility is just one part of the larger mental crisis in Vermont. “The big issue we’ve had is coming up with enough funding to build a permanent one,” Nichols said. The lack of funding contributes to a shortage of suitable space to house and treat people with Mental illness. Is the facility here to stay? How is it determined when a patient needs to go to the Middlesex Therapeutic Residence? This is the first of a three part series. In the next piece, we’ll experience the day in the life of a patient at Middlesex.